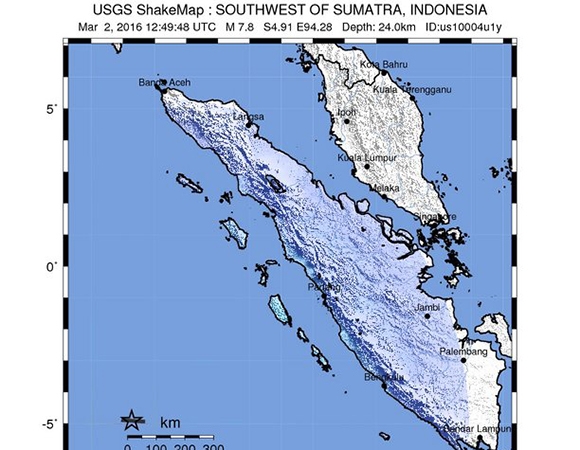 The March 2, 2016, earthquake occurred in oceanic lithosphere approximately 600 km to the southwest of the major subduction zone offshore Sumatra at which the India and Australia plates subduct to the north-northeast beneath the Sunda plate. 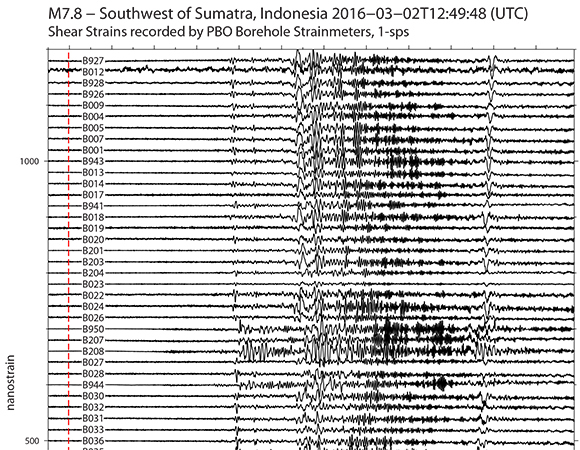 In response to the 2 March 2016 Mw 7.8 earthquake Southwest of Sumatra, Indonesia, UNAVCO has produced a fully processed 1-sps borehole strainmeter (BSM) dataset spanning the time period of the event, available at http://borehole.unavco.org/bsm/earthquakes/20160302_SouthwestOfSumatraIndonesia/. 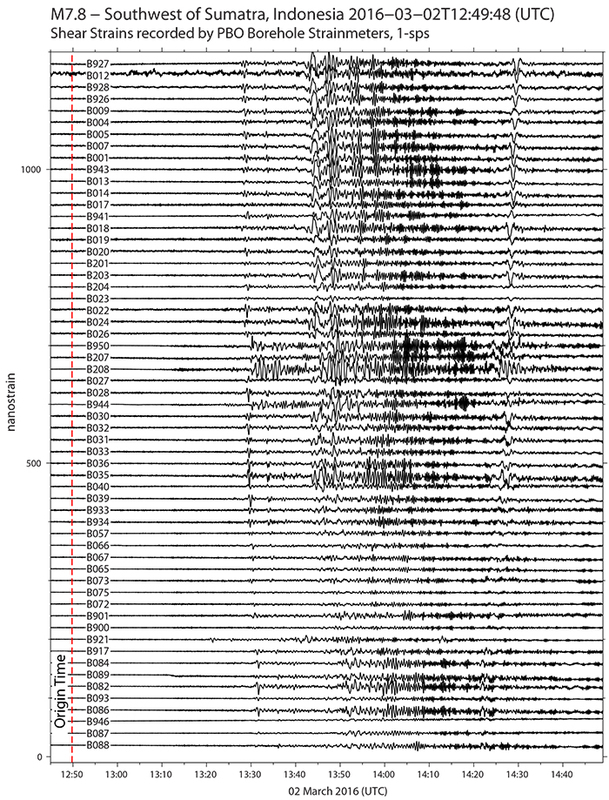 Borehole strainmeter data for this event, as well as all other earthquakes greater than Mw7, can also be accessed via our Geophysical Event Data page.